I am currently – yes, on New Year’s Day – completing our church’s charity return for 2011-2012. I am currently compiling data from December 2011, which is two whole years ago. We are now running at 3 times as many people, 4 times as much income, and 5 times as many volunteers. That’s not bad. If we manage that again in the next 2 years, by December 2015 we will be a church just under 400, with more than enough money to purchase our own building. Do I think I can reach that target? Actually, I think I can smash it. I know a lot more about church growth than I did 2 years ago, and I will know a lot more in 2 years time. 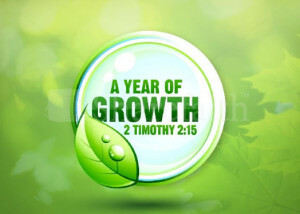 So this post is for church leaders looking to see growth in their churches in 2014. 5 simple steps anyone can take that will almost guarantee an increase in people. 1. Start Counting How Many People You Have in Church every Sunday. Don’t guess, don’t estimate. Count. Get a clicker if you have to (you could get one here). Most pastors never count and never record. When you get the numbers put them in a database of some sort. We use Elvanto which I wholeheartedly recommend, but you could use Excel, or even a big A board. Knowing the numbers makes it easy to measure and notice growth. It’s amazing but as soon as you start counting, that act of focus brings growth. I know people will say “it’s not all about numbers”. That depends on what you are counting. If you are counting people who need the love and life of Jesus inside their hearts then it is all about numbers. Each number is a person, each person is a story. We did this in September 2013 and it added 10 people a week to our Sunday morning services! We just had a bring your friends to church party. We did our best worship, I preached my best message (also the first in a series to bring people back in next week), and we had our best smilers on the doors. Also the children’s church had a party as well, and in the service I raffled off a whole bunch of prizes. It was a lot of fun. It was our busiest service of the year, even Duane Sheriff and Wendell Parr did not attract the crowds that free food did. After church we bought all the children in the service a happy meal (all 33! ), and had a bring your own food but bring loads buffet after for the adults. We just chatted and enjoyed fellowship. That’s a simple thing to do and it works. We are doing it again Feb 2014 and Easter 2014 and September 2014 and Christmas 2014. Why? It works. You can’t welcome everyone unless your church is less than 20. Now we are running 130+ a Sunday (I know that because I counted see! ), I don’t even know if anyone is new or not – it’s too many people. So you train people to be welcoming, you have procedures to help and welcome people, you let everyone know we are family and we are expecting guests. 5. Have a decent and up-to-date website and Facebook page. No one under 35 will come to your church without going to your website and your Facebook page. If they have animations from 15 years ago and are inviting people to a Carol Service in 2009, those people have made their mind up about you before they even go. If you cannot do this pay someone to do the website (if you need a guy, I have a guy) and find someone in your church under 30 and ask them to set up a church Facebook page.